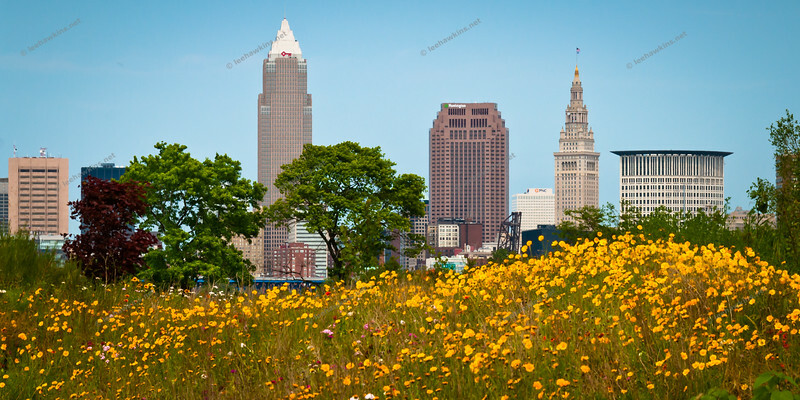 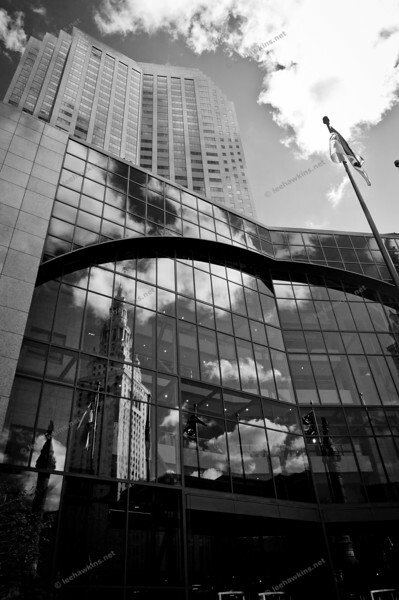 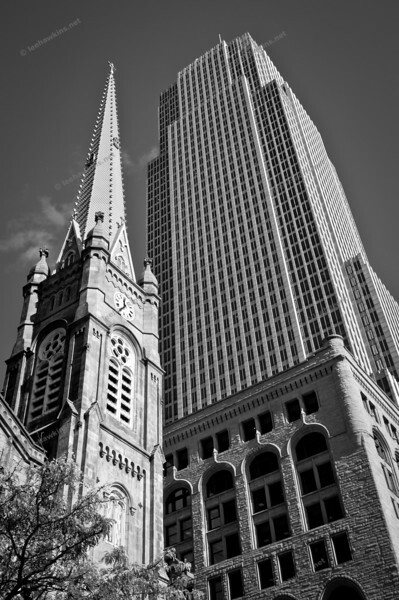 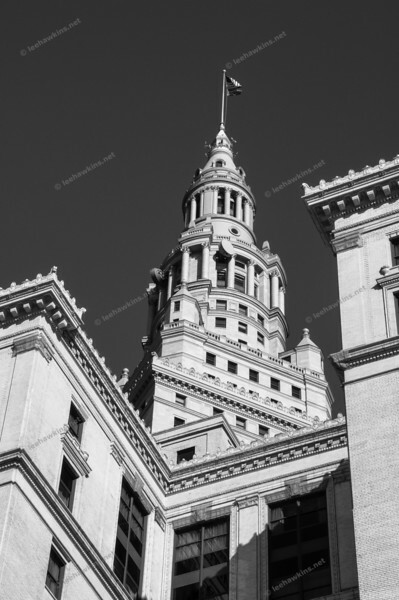 Purchase prints of landmarks in and around Cleveland. 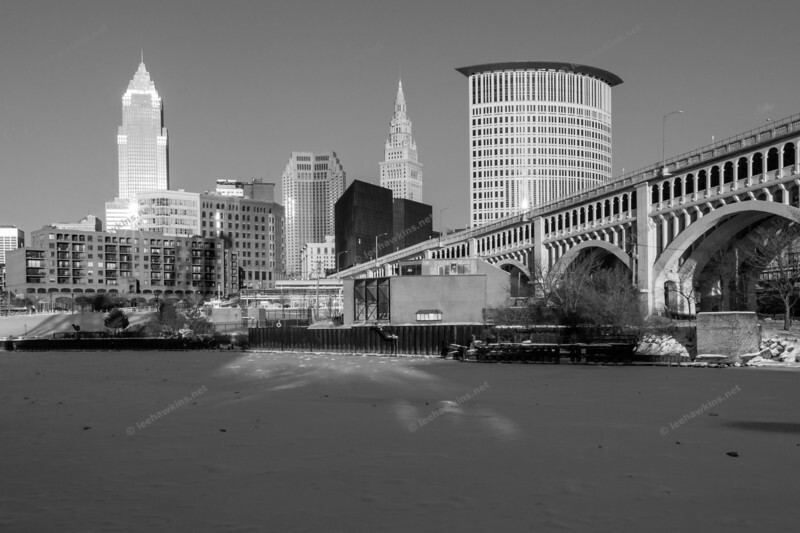 Downtown Cleveland looking east across the Cuyahoga River. 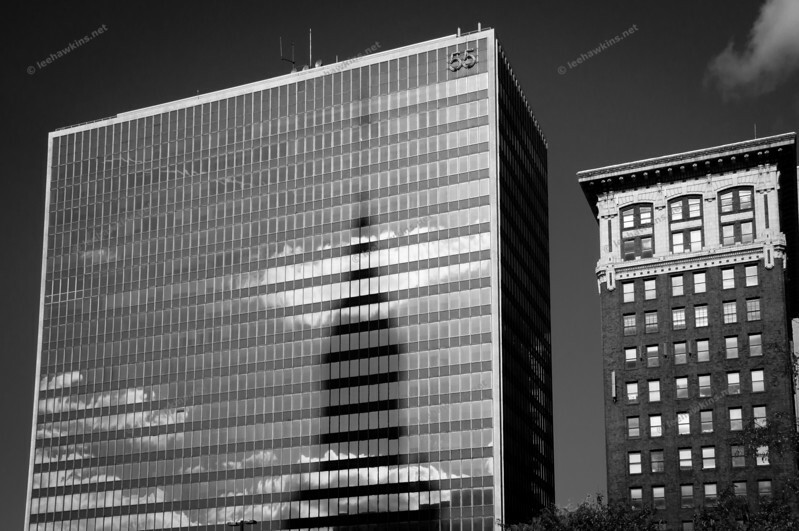 From L-R: Key Tower, 200 Public Square, Terminal Tower, Stokes Tower, and the Veterans Memorial Detroit-Superior Bridge. 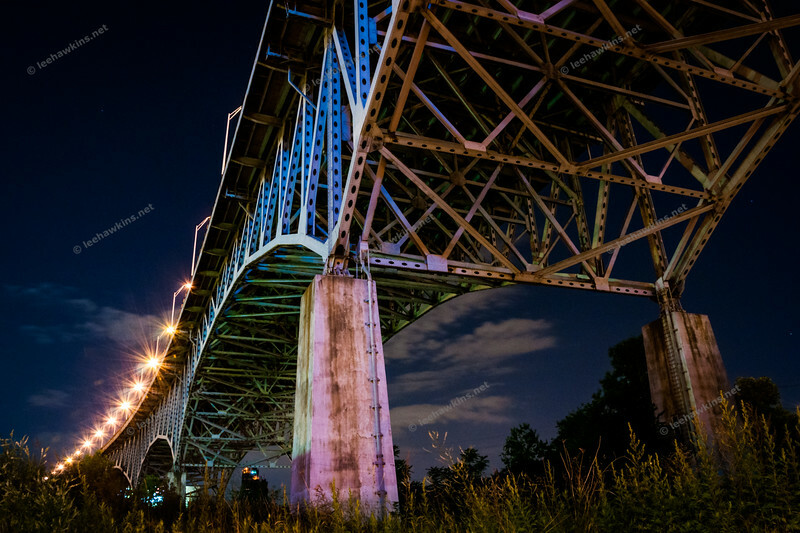 Underneath the Innerbelt Bridge in Cleveland, Ohio. 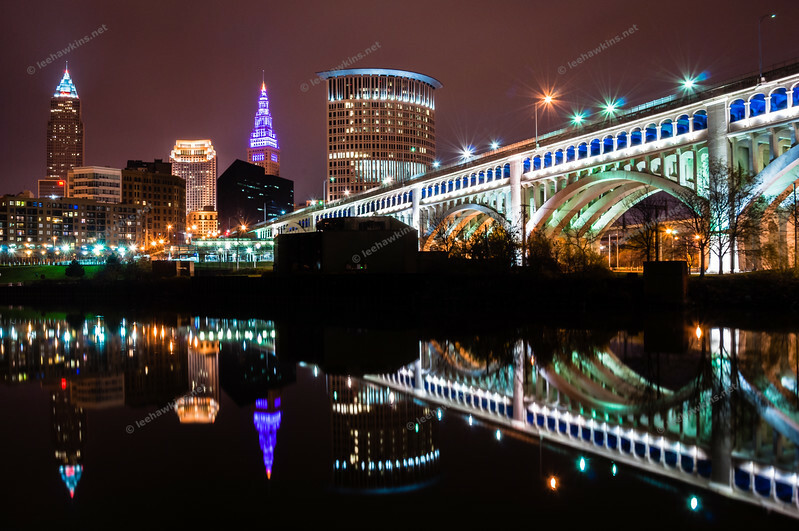 The Innerbelt Bridge, a truss arch bridge completed in 1959, carries I-90 across the Cuyahoga Valley, connecting Cleveland's West Side to Downtown. 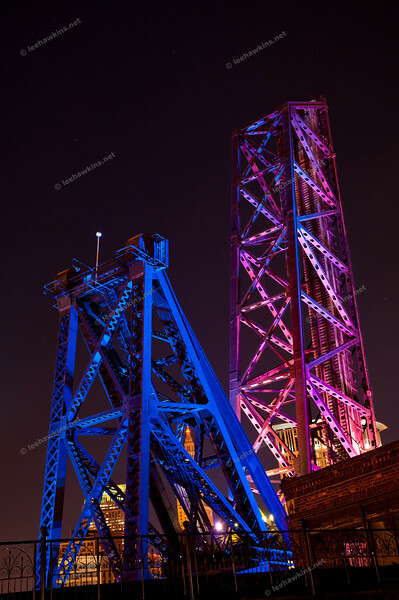 B&O Bridge #463 is a 255-foot single-track bascule span built in 1956 to cross the Cuyahoga River. 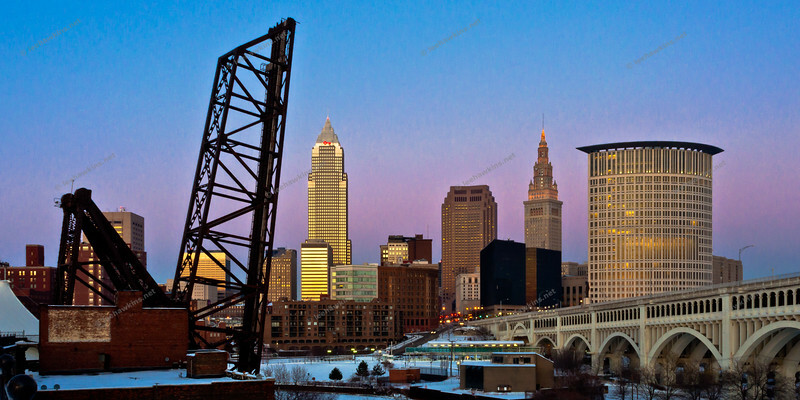 It stands at the end of what remains of the Superior Viaduct on the West Bank of the Flats. 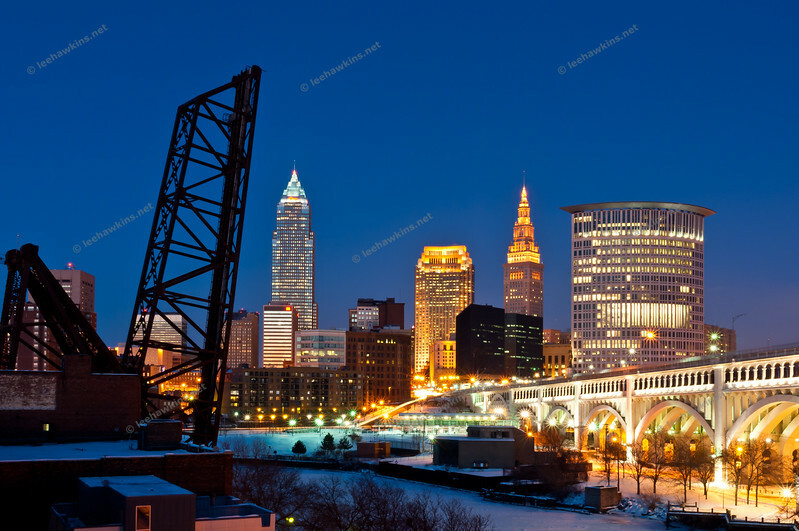 Downtown Cleveland after a winter sunset in 2011, one day after a storm deposited a sheet of ice across the existing blanket of snow, thus causing subtle blues in the sky to be reflected at dusk. 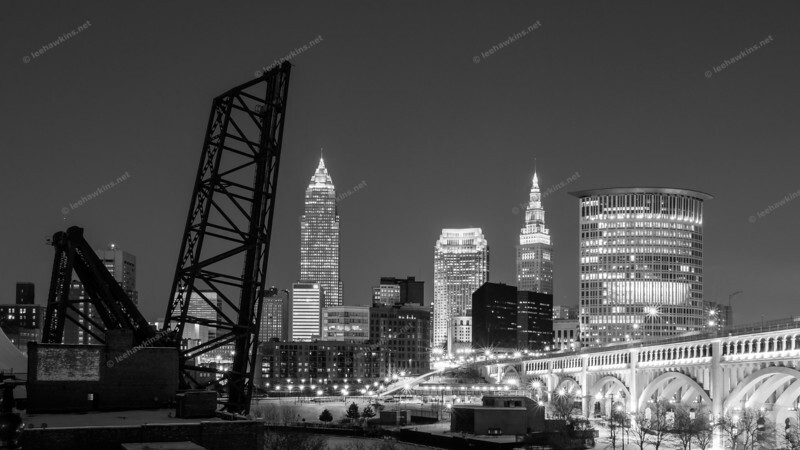 From L-R: B&O Bridge #463, Key Tower, 200 Public Square, Terminal Tower, Stokes Tower, and the Veterans Memorial Detroit-Superior Bridge. 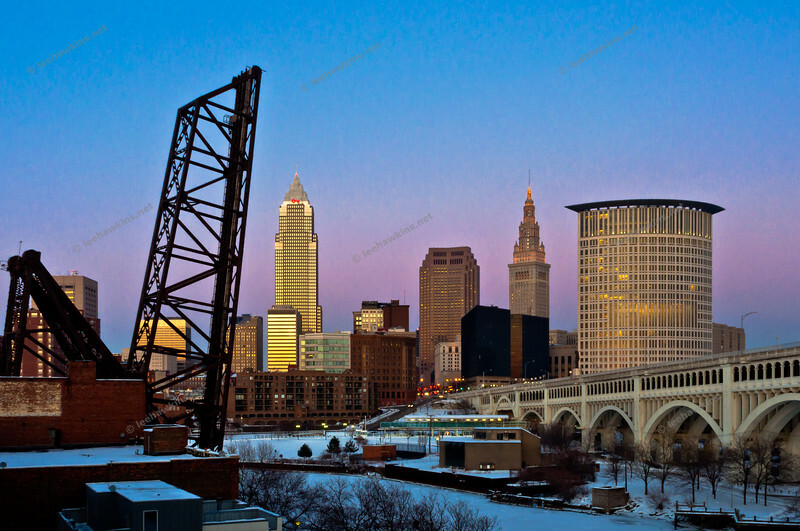 Downtown Cleveland during a winter sunset in 2011, one day after a storm deposited a sheet of ice across the existing blanket of snow, thus causing subtle blues in the sky to be reflected at dusk. 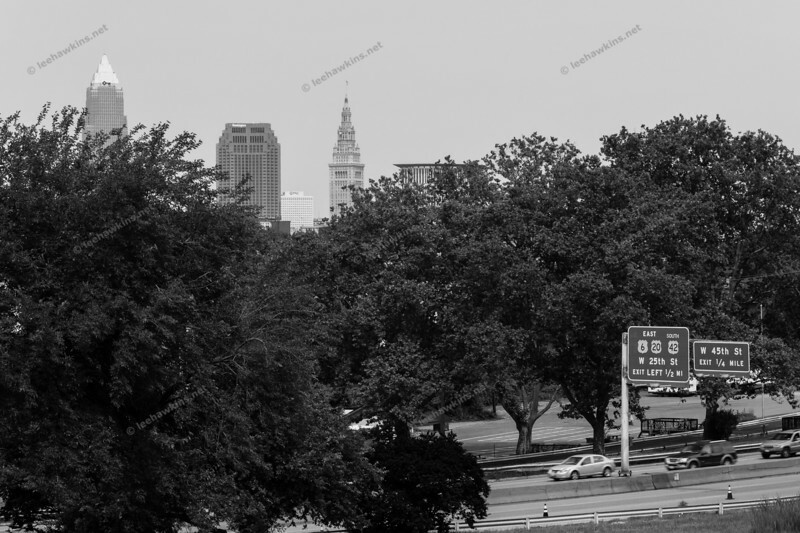 From L-R: B&O Bridge #463, Key Tower, 200 Public Square, Terminal Tower, Stokes Tower, and the Veterans Memorial Detroit-Superior Bridge. 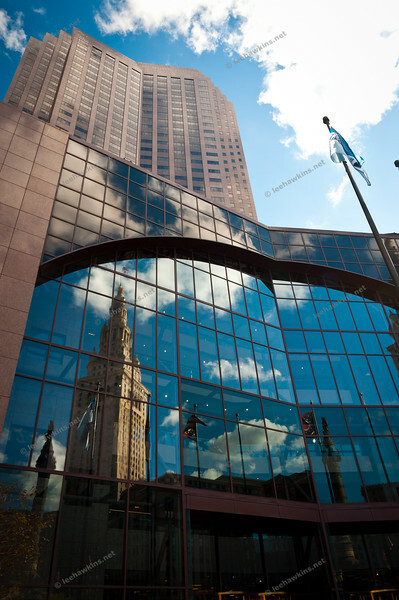 Reflection of Terminal Tower on the glass of 200 Public Square in Cleveland, Ohio. 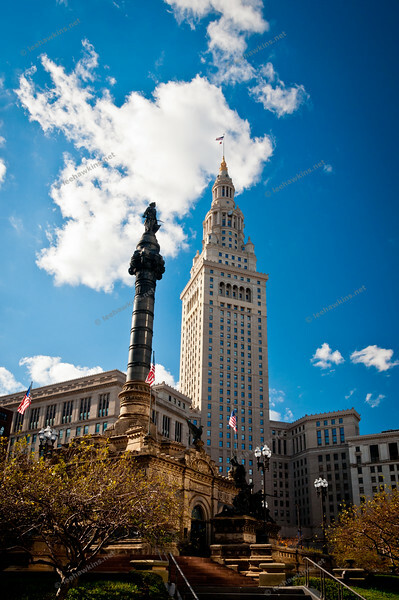 Cuyahoga County Soldiers' and Sailors' Monument (opened 1894) in front of Terminal Tower (opened 1930) on Public Square in Cleveland, Ohio. 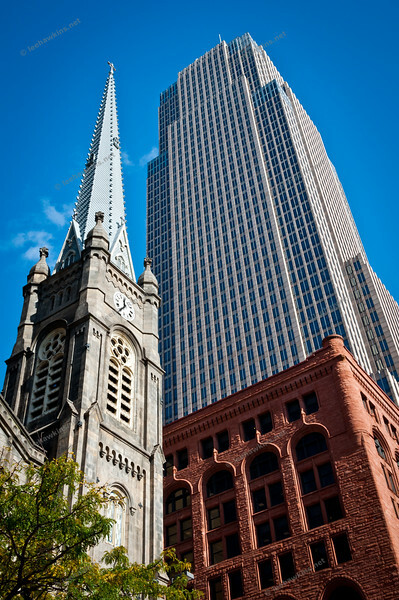 The steeple of the Old Stone Church, built in 1855, and Key Tower, completed in 1991 and the tallest building in Ohio, on Public Square in Downtown Cleveland. 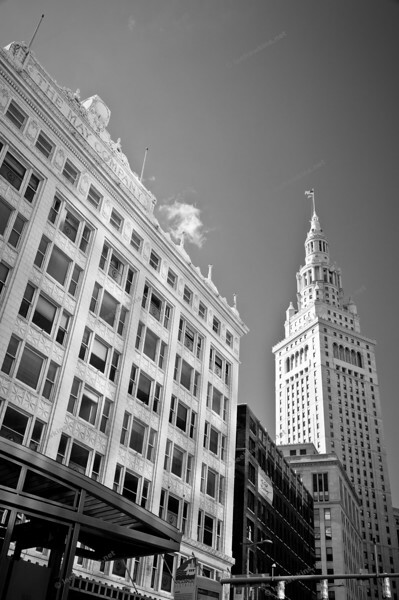 Below is the Society For Savings Building, completed in 1890. 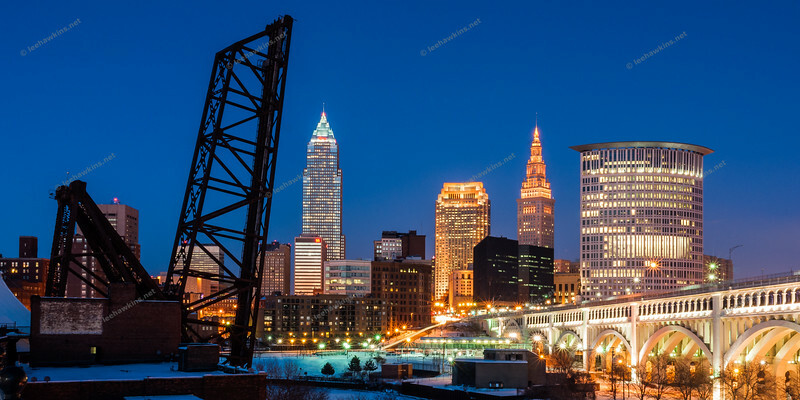 Downtown Cleveland (L-R) The Justice Center, Key Tower, 200 Public Square, PNC Center, Terminal Tower, Stoke Tower. 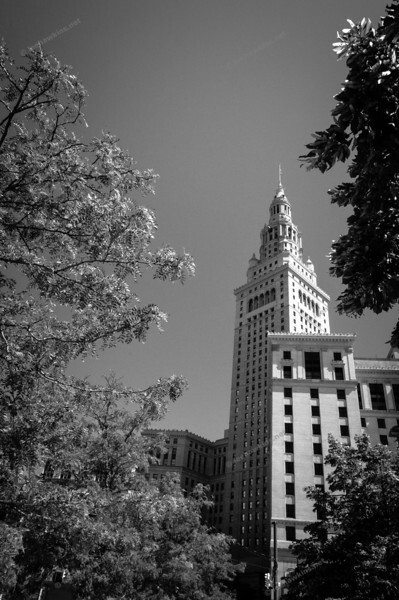 The May Company Building, opened in 1914 as a department store that remained until 1993, and Terminal Tower, opened in 1930 as the anchor to the Union Terminal project, on Public Square in Cleveland, Ohio. 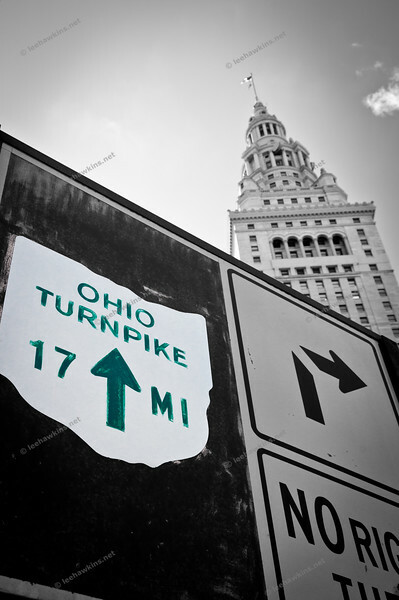 A sign directs motorists on Public Square in Cleveland to the Ohio Turnpike, the state's first superhighway and only toll road, constructed 1949-55. Shadow of the Terminal Tower on 55 Public Square on a partly cloudy fall day in Cleveland, Ohio.